Many of you know Ben Eagleton who has been a key person in our Estate Planning and Probate practice for several years. Ben has now received his license from the State Bar as an attorney after successfully passing the nation’s hardest Bar Exam and going through their rigorous vetting process. Today, you’ll get to know more about this very talented member of our staff and how he can assist you and your family. Also, remember that we do legal presentations for business and community organizations. If your group would like this, please contact me or Steve to set up a date and time. Did you know that the “E” in BPE Law Group stands for Estates? BPE Law Group has been representing its clients in Estate Law matters since Steve Beede originally started the practice in 1995. But for those of you who have used us for estate planning and Probate services since 2013, you know that Ben Eagleton has played a key role in our firm’s practice. Attorney Benjamin H. Eagleton is the BPE Law Group’s newest Estate Law practitioner. With over seven years of experience in this field, and concentrates his practice on the legal needs of individuals and families who are planning for their estates, and/or transitioning through the loss of a loved one. Ben has assisted our attorneys in drafting more than 300 revocable living Trusts in assisted in administering over 100 Trusts and estates as well as related Probate actions. 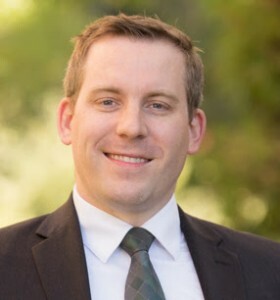 Ben’s career in Estate Law began shortly after he moved to California from Pennsylvania in 2009 when he acquired a Paralegal credential that allowed him to work full-time in the fields of Estate Law and Probate Litigation while earning his Juris Doctor from Lincoln Law School of Sacramento. Also during law school, Ben began and now continues postgraduate studies in Gerontology and Elder Advocacy. Ben was trained as a Long-Term Care Ombudsman to inspect Residential Care Facilities for the Elderly, Board and Care facilities, and Skilled Nursing Facilities. Ben’s His Ombudsman training and Gerontology background provide BPE clients with valuable and unique insights into all things related to aging in California. As a Certified Law Student in the Courts, Ben has assisted our attorneys to represent the interests of Executors, Administrators, and Beneficiaries in various stages of Probate Litigation. Outside the office, Ben advocates for California’s aging population serving on the Placer County Older Adult Advisory Commission, advising the County Board of Supervisors and the Department of Health and Human Services, and the Area IV Agency on Aging Advisory Council, the principal advocate body in our region. In his free time, Ben performs with the American River College Symphony Orchestra sitting in the Cello section (his next Concert is October 28th), he climbs 14,000 ft. Summits in the Sierra Nevada (most recently Mt. Whitney), enjoys scuba diving California’s coastline and traveling with friends and family. This article is not intended to be legal advice, lending advice, or a specific recommendation of any particular lender or company, and should not be taken as such advice.